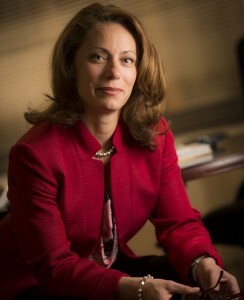 Sandra Fenters is the President of Capterra Risk Solutions, LLC, working with entrepreneurs of closely held businesses, private equity firms, public entities, and not-for-profit organizations seeking to capture profits within their organizations by implementing solid risk management and loss prevention techniques. The firm specializes in creating alternative risk transfer (ART) mechanisms and captive insurance companies. Fenters and her team provide captive management and consulting services for captive formations of all types including pure single parent, group arrangements, and association captives. Fenters began her insurance career with a large international insurance company as a surety underwriter. Her experience spans multiple disciplines including surety, professional liability, commercial liability, and high net worth personal lines insurance. Fenters has authored numerous articles on captive insurance and was faculty for The University of Delaware’s Captive Program. Fenters is a graduate of Allegheny College and holds a Bachelor of Arts in Political Science and a Bachelor of Arts in English. She is also a graduate of The University of Pittsburgh Graduate School of Business Institute for Entrepreneurial Excellence, Fellows Class of 2010.
other coverages from the traditional market not offered by our group arrangement - intellectual property and cyber liability to name a few - the cost, along with the terms and conditions, were not economically reasonable. We ultimately decided to insure those risks through a private captive and we hired Capterra Risk to conduct a feasibility study. Sandra and her firm successfully implemented our captive and continue to provide exceptional ongoing management and underwriting services." - Robert Ecklin, Stoner, Inc.